Courtney E. Martin chronicles — and encourages — the current generation of young activists and feminists. 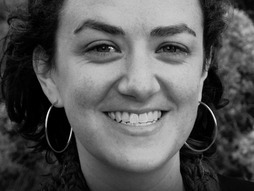 She’s an editor at Feministing.com and the author of "Do It Anyway: The New Generation of Activists." In her new book Do It Anyway: The New Generation of Activists, Courtney E. Martin proﬁles eight young people doing social justice work. It’s a fascinating look at the generation of world-changers who are now stepping up to the plate. And as an editor at Feministing.com, the most highly read feminist publication in the world, Martin watches an evolving world of a feminism empowered by social media. Martin’s ﬁrst book was Perfect Girls, Starving Daughters: How the Quest for Perfection Is Harming Young Women; an anthology Click: When We Knew We Were Feminists, co-edited with J. Courtney Sullivan, was released last year. Martin is also a Senior Correspondent forThe American Prospect; she’s appeared on Good Morning America, the TODAY Show, CNN and MSNBC, and held her own against Bill O’Reilly and Laura Ingraham. Wael Ghonim is the Google executive who helped jumpstart Egypt’s democratic revolution … with a Facebook page memorializing a victim of the regime’s violence. Speaking at TEDxCairo, he tells the inside story of the past two months, when everyday Egyptians showed that "the power of the people is stronger than the people in power." At TEDxRainier, Patricia Kuhl shares astonishing findings about how babies learn one language over another — by listening to the humans around them and "taking statistics" on the sounds they need to know. Clever lab experiments (and brain scans) show how 6-month-old babies use sophisticated reasoning to understand their world. Jane Goodall hasn’t found the missing link, but she’s come closer than nearly anyone else. The primatologist says the only real difference between humans and chimps is our sophisticated language. She urges us to start using it to change the world.